The Washington DC Metropolitan area is truly unique, from its foundational history as the nation’s capital to its diverse network of surrounding counties and communities—both urban and suburban. 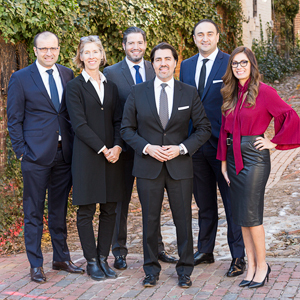 That is why District Partners has assembled a team of professionals committed to delivering the most satisfying real estate lifestyle experience possible. Our job is to cover the bases in a region rich in tradition yet constantly evolving. Properties in our design-conscious wheelhouse vary from hipster industrial to beautifully renovated antiques. Our clients range from generational Washingtonians to new arrivals from all parts of the globe. In keeping with the diversity of challenges and expectations, our select team is balanced and highly qualified. We are fans of great architecture, from the mid-century modern aesthetic to timeless traditional. We utilize cutting-edge technology while still delivering a consummate concierge service. In short, we are here to help you navigate the waters in an ever changing marketplace.